Shown here are two quilts. It's easy to see why this pattern is so versatile. 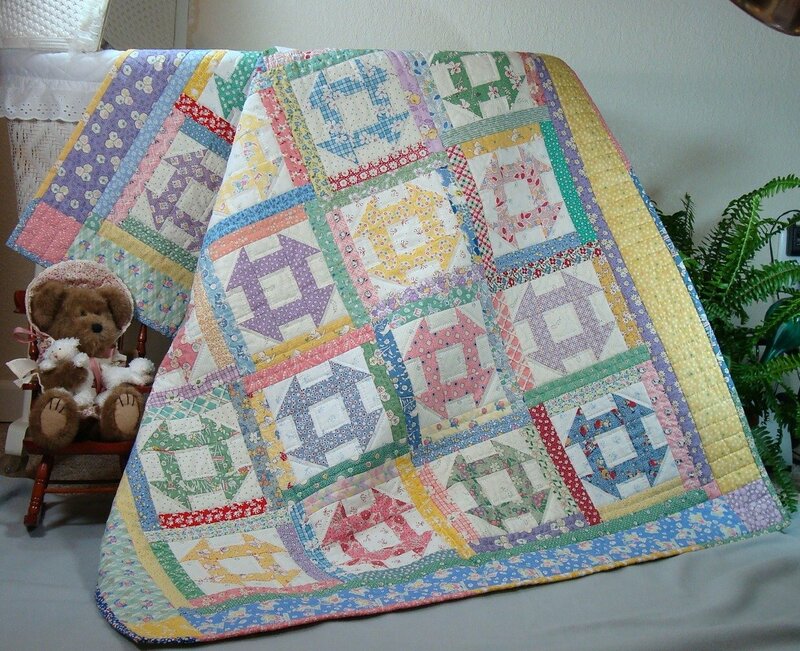 A wonderful way to use up scraps and a fun quilt to collect fat quarters! Instructions are clearly illustrated and in color. Crib size: 40" x 48"
Queen size: 86" x 100"
You will receive an email with a link to download your pattern. You are allowed 3 times to download the digital pattern. Please save to your computer or print, so you always have the pattern.